Toshiba’s position as the inventor of both the original flash storage method and BiCS FLASHTM 3D Flash memory technologies means the Japanese giant has always had a significant start on its competitors. Its memory and SSD business was spun off into Toshiba Memory Corporation in 2017. But right across the storage industry, Toshiba continues to be a name that crops up in headlines: leading innovation which increases storage capacities, makes modern life possible and drives business, too. Even in the area of “traditional” hard drives, Toshiba is pioneer for perpendicular magnetic recording (PMR) technology. Toshiba achieved first to market 14TB HDD with PMR technology by deploying an improved recording density. As its position in the data storage space grows, Toshiba’s breakthrough innovations make it a brand with which we all come into direct contact in our everyday lives. It might be a simple USB stick or compact flash card we use to move data around, but Toshiba’s products will probably be present in ways we are not even aware of: our phones’ micro SD cards, our computers’ SSD and HDD drives, and in the data centers we rely on every minute for all sorts of services. Large data repositories in data centers, often accessed and altered, are especially used in the latest machine-learning applications, where the nature of the programming techniques means that the state of the application code base needs to be reliably held in rock-solid media. In database technologies, Toshiba’s SSD drives are particularly widespread and accepted as industry standard – the long shelf-life of Toshiba’s drives is usually quoted as the main reason for enterprise use. The ACID method of database processing is particularly suited to SSD, and in fact, much of the world’s commerce data traffic relies on accurate processing at data level. 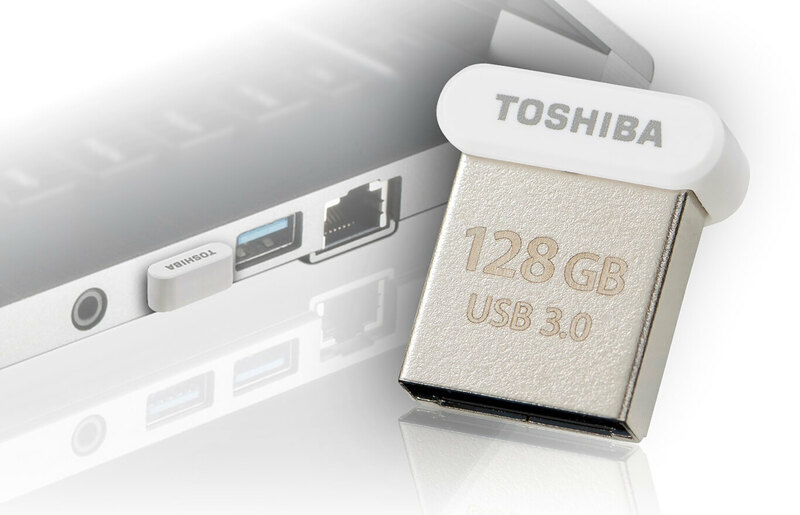 Toshiba’s BiCS FLASHTM 3D Flash memory products are pretty much ubiquitous, from the data center, to organizations and businesses in every corner of the world, and across all manner of consumer products. The company’s Flash memory, SSDs, USB flash drives, and SD memory cards and HDDs represent a gold-standard in terms of cost versus reliability. Recent breakthroughs by Toshiba include A1 level accreditation by the SD Association, which shows an application-layer level of speed for the EXCERIA™ microSD memory cards. The cards are capable of running with tolerances required for mobile apps, making them perfect for very demanding deployments. The consumer space looks to the EXCERIA range for its suitability in extreme sports applications, and the company’s UFS range looks set to change the way augmented and virtual realities (AR/VR) are powered. Whichever way technology takes us, Toshiba knows its leading memory products will underpin the very foundation of data-driven lives. And whether we know it or not, all our lives are now data driven: from a simple picture taken on a phone to the use of vital internet services which we use thousands of times daily. Toshiba is one to watch in 2018.